Diving In | Jennifer Pratt Equine Artist. Next week I am traveling to Bend, Oregon for a five-day Plein Air painting workshop with Colorado based artist Kim English. Shockingly, it’s been 2 1/2 years since I was a student in a workshop, vying to learn some new tricks. I’ve had such little time to focus on my art in the last year, it seems like heaven to check out of life’s daily routines to submerge myself in art again. After many months of rehab from my back surgery, I am hoping painting all day, everyday, for five days, won’t be too much of a shock to my body. I think perhaps my excitement and desire to be productive again will be enough to block any nerve flare ups. I have done a few paintings to warm up. 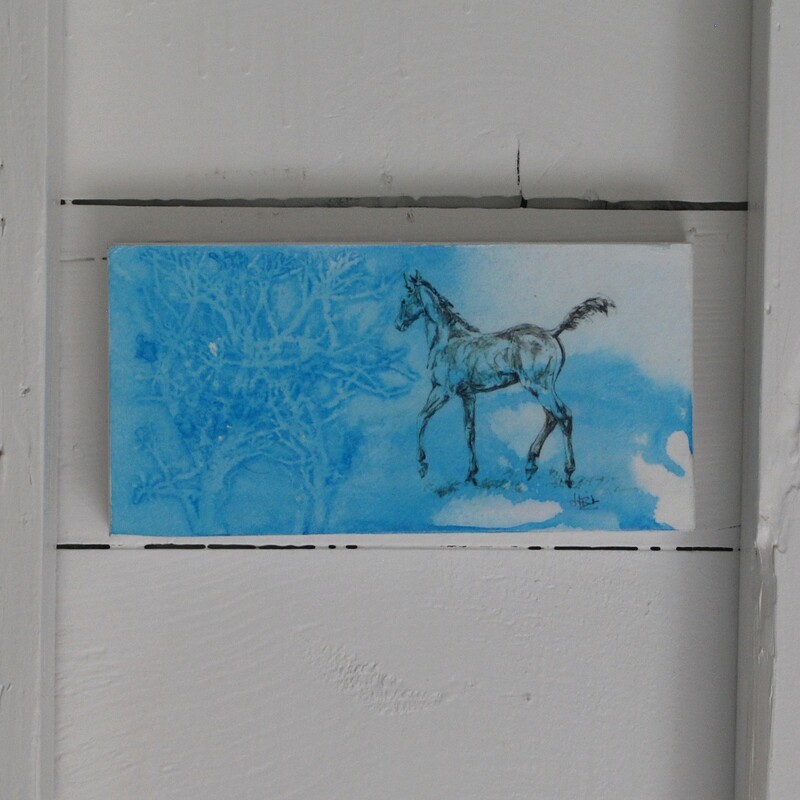 ‘Tony’ (above) was my first horse painting. It had been a year since I had painted anything beyond a tennis ball. I will admit to feeling very rusty! I had a hard time even remembering my palette and how to mix my colors. However, I decided not to berate myself and take it as a chance for re-invention, rather than fall into old habits. ‘Tony’ was painted as a gift for my friend Juliet. It only seemed fitting that my first painting back at the easel be for a friend. It eased the pressure, made the entire process feel good, knowing what a delight it would be to surprise a friend. 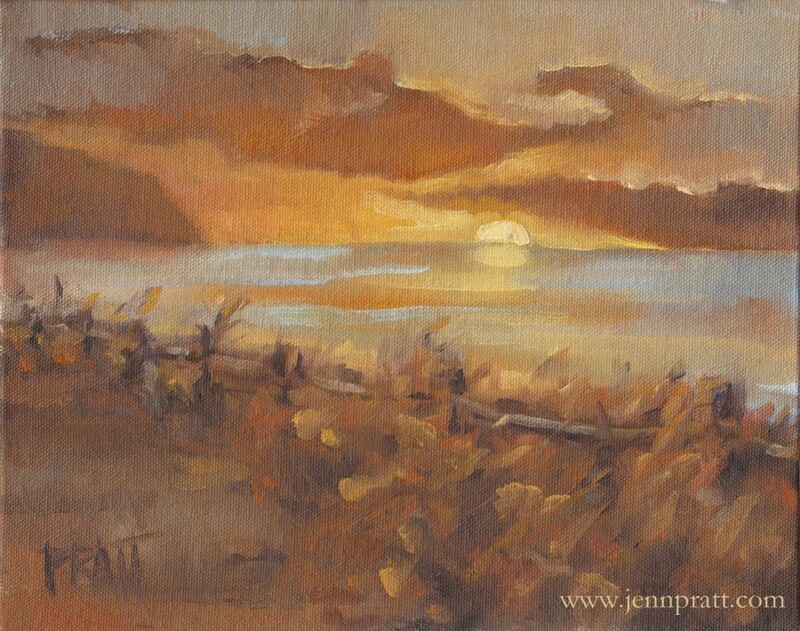 Since we will be painting Plein Air next week, I figured perhaps I should try painting a landscape as warm up. Neskowin, Oregon is one of my favorite places on the Oregon coast, it felt like a great place to start. My first ever landscape and I don’t think it’s horrible…awesome!! Yes, there is room for improvement, I’ve already given this painting a critique, but I am confident with practice, I could further my skills. Tomorrow I plan to take my easel into the garden and actually try painting something simple from life to further prepare myself for the workshop. Wow! I just realized you are an Oregon equine artist too!